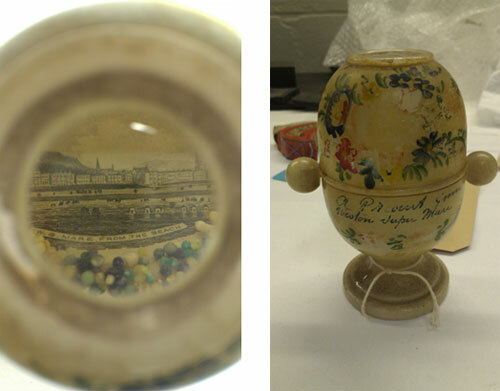 Conservators are frequently asked to name the most unusual object they have treated. A wasp nest forming the eyes of a plastic doll’s head within a contemporary art sculpture is definitely now top of my list! 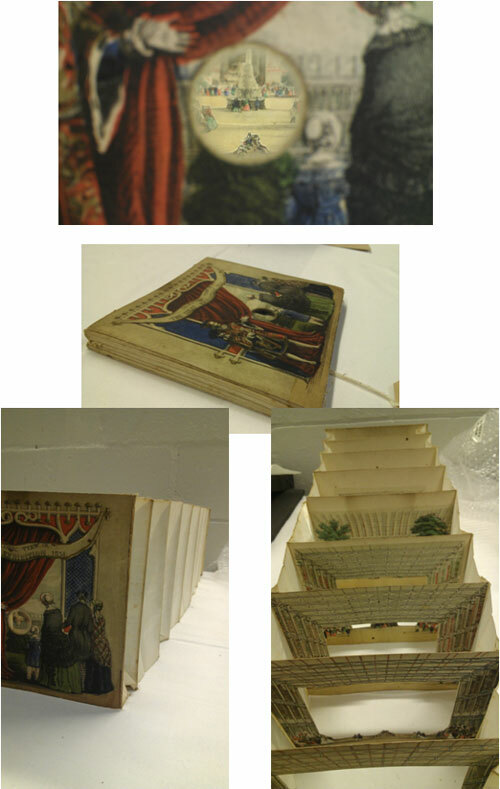 Our work in the Conservation Department is very varied and one never knows what one might have to conserve next: that is one of the reasons why it is such a rewarding job. It can also be quite a challenge. Gérard Quenum’s contemporary sculpture entitled ‘L’Ange’ is a very striking addition to the Museum’s World Cultures collection. 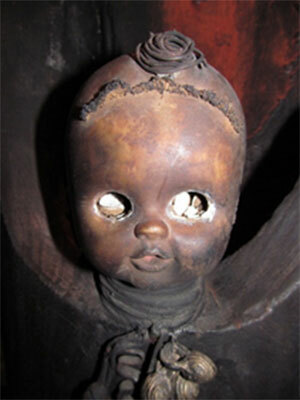 It is made of a reclaimed drum, upended, with a plastic doll’s head tinted with brown earth and scorched. 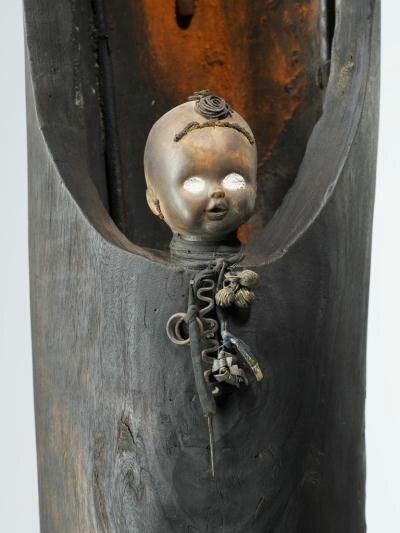 Even within the scope of his very individual art, this piece is particularly unique: the eyes of the doll were fabricated by chance in Gerard’s studio by a wasp. He had left it in the corner of his workshop only to find one day that the eye sockets which he had left empty were now filled. 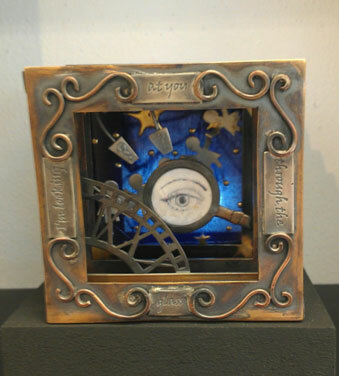 The eyes of the doll in Gerard Quenum’s sculpture ‘L’Ange’. In the autumn of last year I was asked to advise on the conservation of those eyes; they had been damaged while on display and the whole effect of the piece had been greatly diminished. So the following week, one early morning before Museum opening, armed with my stepladder, magnifying visor, head torch and tweezers, I gingerly fished out tiny fragments of wasp nest from the eye cavities, where they had seemingly been pushed by an unknown hand. The damaged eye cavities of the sculpture. 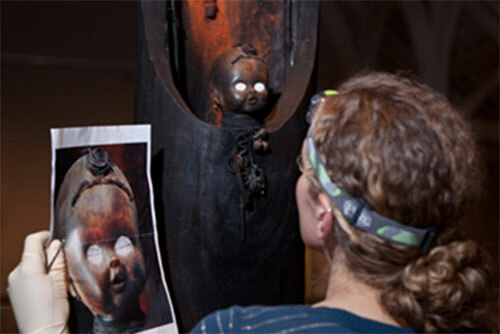 The artist had already been contacted by our Curator of African Collections, Sarah Worden, and had planned a visit. He had suggested that he would re-make the eyes himself. However, we all agreed that were it possible to reconstruct the work of the wasp then this would be preferable. We couldn’t very well coax another wasp in to copy the work of her predecessor and so without reconstruction, this fascinating aspect to the sculpture’s creation would be lost. Back in the lab I studied the fragments under a microscope to see how and if the brittle material fitted back together – a jigsaw puzzle more fitting for a Borrower than for my hands! Fortunately I found that although there were a few missing areas I had two almost complete eyes. These were the fragments of the right eye. I managed to reattach them under our microscope, carefully using tweezers and cocktail sticks to manoeuvre them. The benefit of working at National Museums Scotland is that there is always an expert on hand in all manner of subjects. I enlisted the help of Richard Lyszkowski from our Entomology section to look at the pieces and tell me a bit more about how the nest (or in fact nests – as there was one in each eye) were constructed. 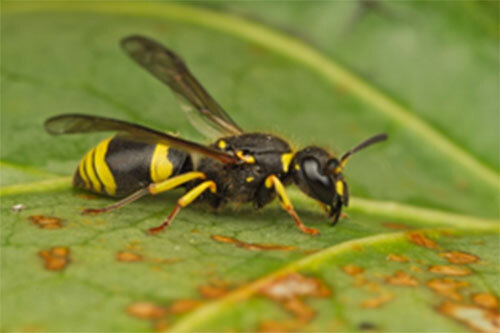 A potter wasp: probably the species responsible for the nest. He was very surprised by the wasp’s work. He identified what he considered typical wasp nest materials: a brown organic mass of fibres. But on top of this was the striking white layer which Quenum had admired. This, the artist had conjectured, was probably taken from the white muddy shores of a lake outside. A quick trip to see Lore Troalen in our Analytical Science section confirmed this was calcium based and therefore could be a chalky material. Richard thought this was unusual wasp behaviour, as usually the insects would take steps to make their nests as unobtrusive as possible rather than daubing them in white. This aspect remains a bit of a mystery and any feedback from you, the public, would be greatly appreciated. When we told Gérard of our assessment he was much amused by this analytical assessment of part of his sculpture. We also discovered that there was another applied layer over the top of this white, which Gérard had applied to preserve the wasp eyes. 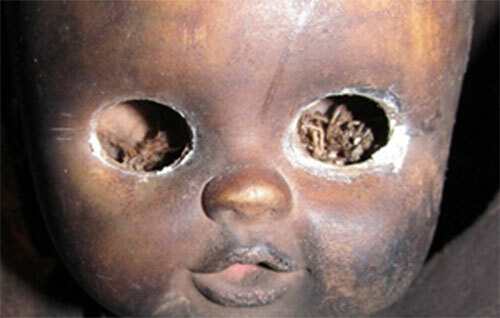 Though this did preserve the eyes as they were, it also had the unfortunate effect of entombing the wasp larvae. I found fragments of insects within the eye sockets and it is probable that the pupated wasps could not escape their nests. At any rate the eyes would have been destroyed if they had. Left: A magnified cross section showing the layers of construction: brown organic matter, white chalky layer and the top protective coat Quenum told us he had applied. Right: The reverse of the eye showing the more typical wasp nest material. Insect debris within eye sockets: I wanted to interfere as little as possible so left these in place. Meanwhile my reconstruction was not complete. Though I had reassembled the fragments and stuck them together, I still had to attach them into the eye sockets, fill the missing areas, and in the case of the right eye, find a way of replicating the surface finish which sadly had been lost in this case. Matching the restored eyes to a photograph of the original eye sockets. Applying the wasp nest fragments to the eyes. Following many trials, I finally concocted a combination of cellulose powder and an acrylic adhesive, which I toned slightly to match the original. This also replicated the slightly lumpy surface texture of the original eyes. Back in the gallery, I carefully attached the wasp nest fragments back in place using a conservation grade adhesive and then filled the gaps with my pre-tested mix to match the picture I had of the eyes before the damage. Left: Before the damage occurred. Right: After treatment. Gerard Quenum was due the following week to survey the results. Fortunately he was satisfied with the outcome. 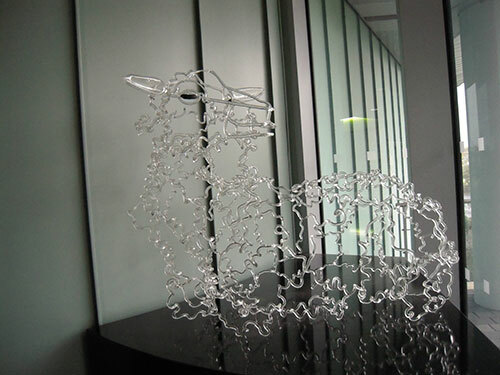 It was fascinating to hear him describe his sculpture, what it meant to him and the techniques he used after my own at times agonising but ultimately very satisfying experience of working on ‘l’Ange’. You can see Gerard talking about the sculpture in the video below. You can see the newly restored sculpture in the Artistic Legacies gallery, on Level 5 of National Museum of Scotland. We’ve now decided to keep the sculpture in a case, to protect it. You can find out more about ‘L’Ange’ here. This year will mark the bi-centenary of the birth of Arctic explorer and collector Dr John Rae, who was born on 30 September 1813. 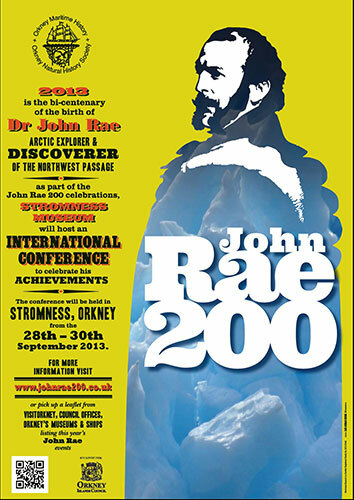 The John Rae 200 celebrations, organised by the Orkney Natural History Society, include an international conference, community events and an exhibition in Stromness Museum. Poster for the John Rae 200 celebrations. This exhibition was created in partnership with National Museums Scotland and contains important objects from both collections, focusing on John Rae’s relationship with the indigenous communities he encountered on his journeys. Born and raised in Orkney, Rae learned how to live on the land and survive as part of a remote community. His legendary physical fitness as well as his love and knowledge of the land undoubtedly contributed to his success as an explorer. This exhibition focuses on his early career in the 1840s-50s, when he was largely engaged with the Hudson Bay Company and in searches to discover the fate of the Franklin Expedition. 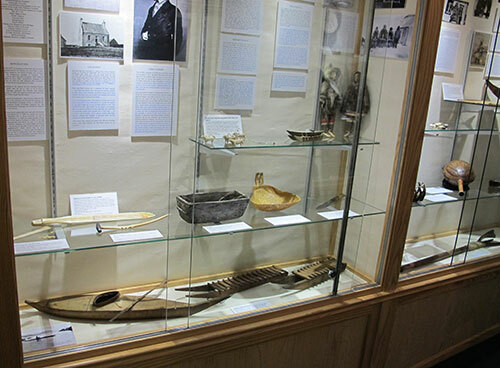 Objects on display include Cree/Metis, Arctic and Northwest Coast material collected by John Rae alongside material collected by others to contextualise Rae’s collection and give a fuller sense of the peoples he encountered. 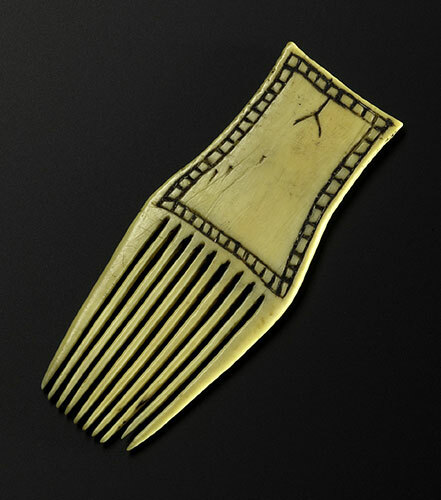 Woman’s comb of walrus ivory, Inuit, collected by John Rae, likely 1848 or 1851. On loan courtesy of the University of Edinburgh Collections. 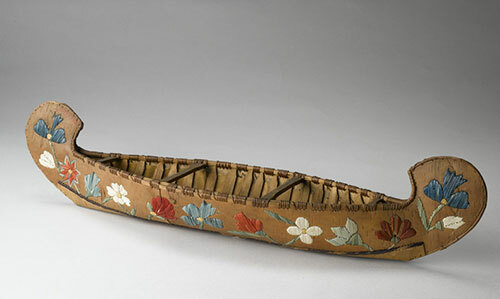 Model canoe of birchbark, Mi’kmaq, collected by John Rae, possibly 1860s. On loan courtesy of the University of Edinburgh Collections. 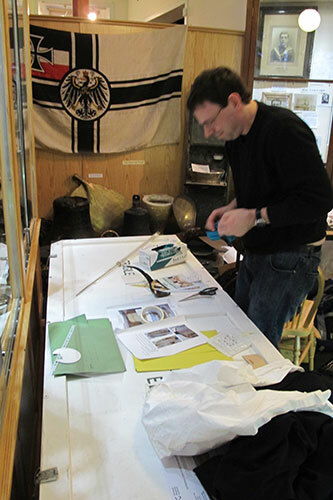 The team at National Museums Scotland, including loans, conservation and curatorial staff, worked closely with the Orkney Natural History Society to arrange the exhibition. After months of hard work the exhibition opening loomed and a date was set for installation. As intrepid explorers ourselves, Conservator Charles Stable and I set off northwards one frosty Sunday morning, with over six hours of driving ahead of us. The collections were securely packed into crates by our conservation team, using layers of plastazote and tyvek cushions. With the long drive as well as the notoriously turbulent ferry crossing ahead, it was especially important that the objects were well packed. Objects for the Rae exhibition securely packed up. We made good time on the way up, feeling fortunate that the difficult conditions caused by snow a few days earlier had cleared. Thankfully the ferry crossing was almost smooth, getting us into Stromness on time at 8pm. Stromness Museum was only a short drive away, through the narrow winding streets (thank goodness we didn’t meet a car coming in the other direction), where we were greeted by Honorary Curator Janette Park, husband John (the local butcher, who kindly agreed to help us lift crates!) and Technical Manager Bart. 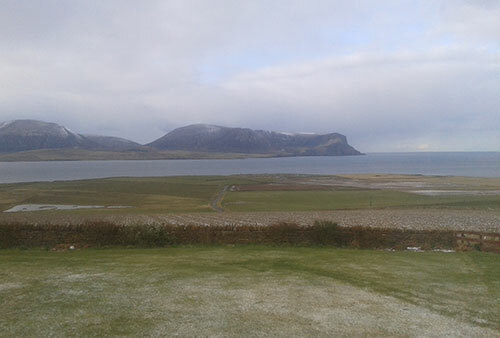 The morning revealed the spectacular views from our accommodation over to the island of Hoy and along the coast up the Mainland. Stromness Museum was only a ten minute walk away and with such fantastic scenery one of the nicest commutes I have ever had. 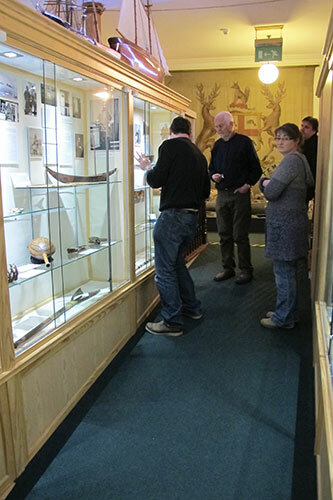 At Stromness Museum, Exhibition Curator Tom Muir and committee member Bryce Wilson were on hand to help with installation. With around 30 objects to install we hoped to be finished in one day. 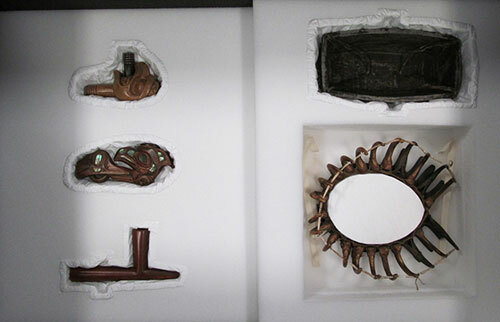 Each object was unpacked and checked against a condition report written by our conservation team. This is done to make sure that nothing was damaged in transit, and also gives us a reference point to ensure that any change to an object’s condition while on display can be identified. After each object was checked it was placed in position under Tom’s direction. As with all the best laid plans, we inevitably had to make a few changes on the day. After putting our heads together and doing a bit of re-arranging we managed to fit everything in. A few last minute (and very creative) mounting solutions helped to really show the objects off. 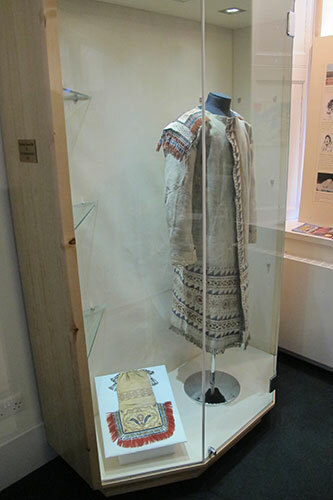 Display of Inuit material with items from the Stromness Museum’s collection. 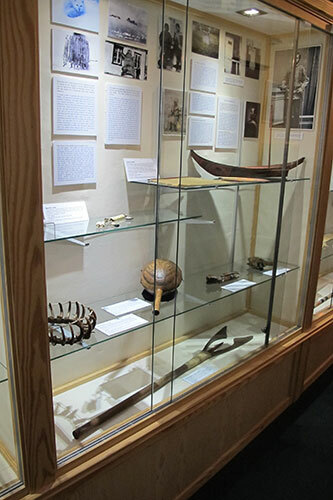 Display of Northwest Coast material and a leister (on the bottom shelf) John Rae made himself to demonstrate his lectures. Installation in progress (from left: Charles, Bryce, Janette and Tom). Cree/Metis bag collected by Rae and Cree/Metis coat collected by Andrew Graham. On Tuesday we moved the empty crates into storage. 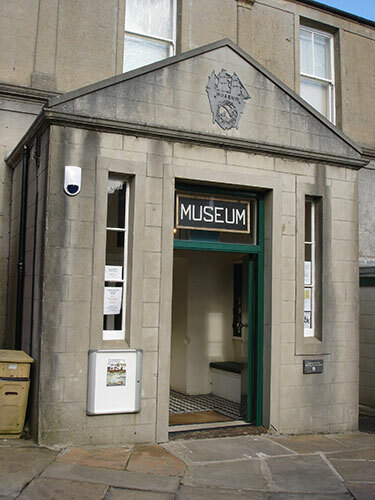 Janette Park gave Charles and me a tour of Stromness Museum which surveyed its wonderful natural history, maritime and ethnographic collections. This also left some time for some sightseeing. The Orkney Islands are rich with sites of archaeological and historical significance, so one afternoon was definitely not enough! 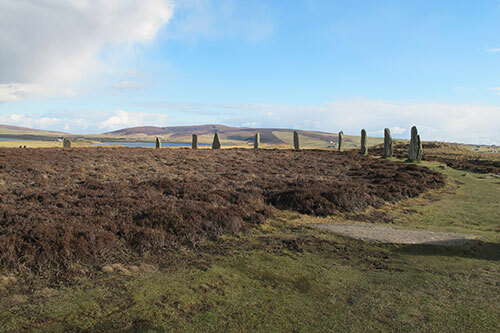 Ring of Brodgar, one of the many sights of Orkney. 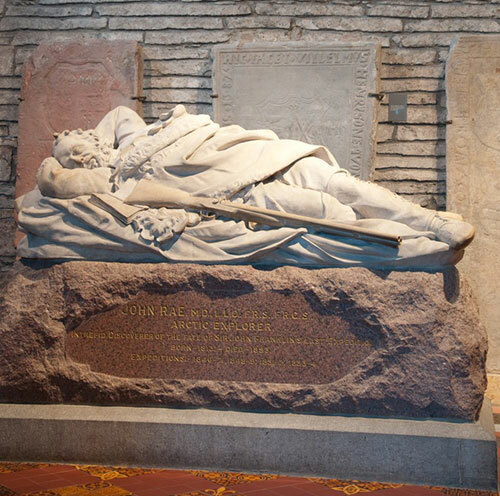 We also had time to visit the memorial to John Rae in St Magnus Cathedral, Kirkwall. This memorial is prominently positioned within the cathedral, sitting opposite a memorial to William Balfour Baikie, a fellow Orcadian and explorer. Memorial to John Rae in St Magnus Cathedral, Kirkwall. Photo by Rebecca Marr. It is a touching tribute to an individual whose achievements were not fully recognised during his lifetime. It is hoped that 2013 will be a moment in which to re-evaluate the legacy of John Rae, his role in Arctic collecting as well as his historical significance in Arctic exploration. To find out more about Rae’s bi-centenary,visit the John Rae 200 website. You can also download a pdf file detailing the bi-centenary events. Mike is responsible for conserving aircraft and other technology objects ranging from complete aircraft to small objects like medals from the collection at National Museums Scotland. Here he describes an unusual conservation solution for the Comet 4C airliner using a retro activity toy! See it on display at the National Museum of Flight, East Fortune. In the conservation of large engineering objects we use many processes and materials, many of which remain invisible to the viewer. Some of these processes and materials are vigorously tested in the field of conservation to ensure suitability, durability and reversibility and some will come from industry as engineering standards with decades of case studies and data outlining their suitability for application to objects. 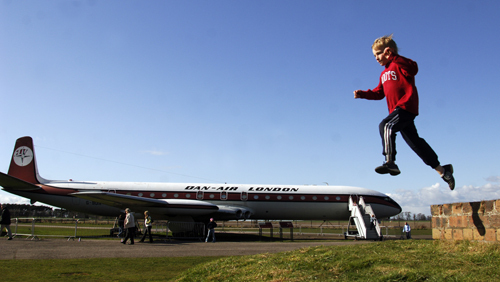 Boy jumping from blast shelter in front of de Havilland Comet 4C, National Museum of Flight, East Fortune. 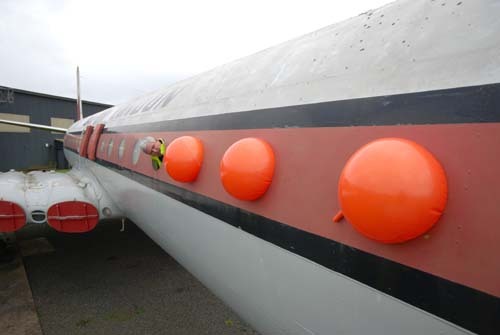 One such project that requires the application of conservation and industrial processes is the Comet 4C commercial airliner at National Museum of Flight, East Fortune. 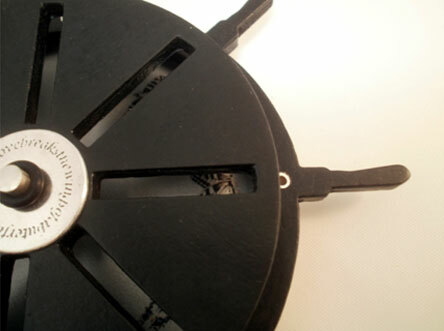 The main scope of the current work is the prevention of water ingress. Windows on the Comet 4C at National Museum of Flight, East Fortune. 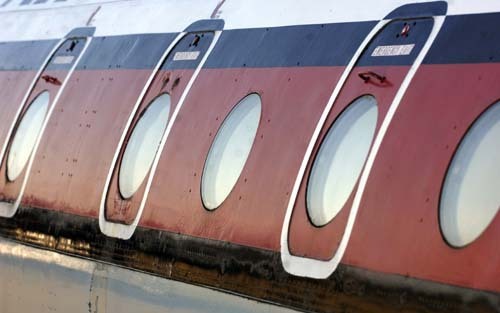 To facilitate this we are reconditioning the window seals, which requires the windows to be removed from the aircraft. This leaves us with the problem of how to block the holes to prevent the weather getting in whilst the windows are in the workshop. 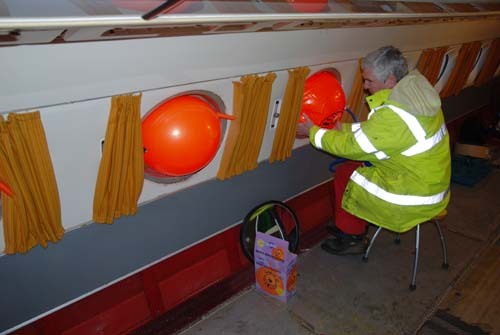 Inserting Space Hoppers to the windows on the Comet 4C at National Museum of Flight, East Fortune. Fortunately one of our volunteers, John Thomson, who is a former employee at Torness Power Station, had faced similar problems during his career in nuclear power generation. During the first major power shut down at the power plant in 1989 they had to devise a way of blocking pipe ends whilst work was carried out. One of the engineers present suggested using one of his grandchildren’s Space Hoppers to plug the hole, denying the child leisure time fun but providing a perfect solution to the engineering problem. As you can see the solution is far from invisible but it is a most effective temporary solution. I will miss the pleasant orange glow mood lighting when they are eventually removed but I’m sure our conservation grade space hoppers will come in handy for future projects. 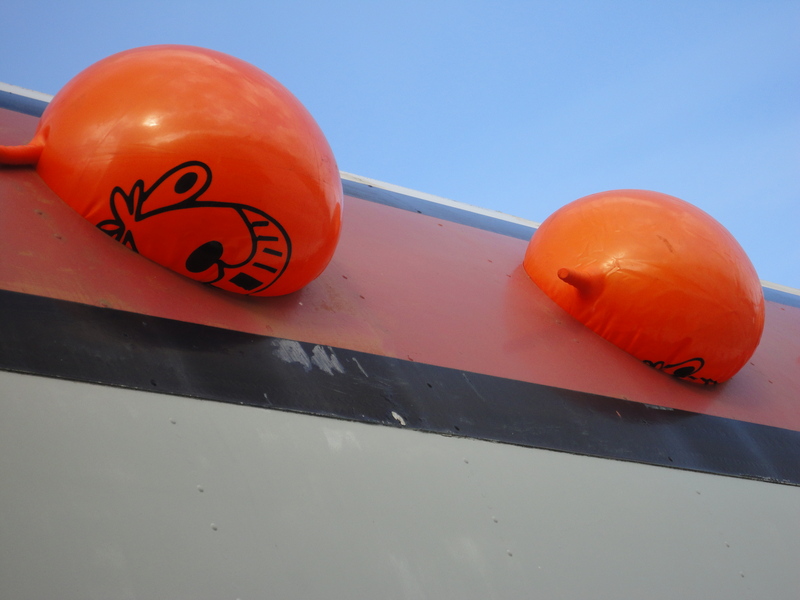 Space Hoppers on view outside the Comet 4C at National Museum of Flight, East Fortune. 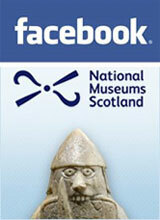 The ceramic figure of Weituo is one of the most recognisable characters in the National Museum of Scotland. A protector figure in Chinese Buddhism, for 70 years he watched over the Museum from his position on the balcony. 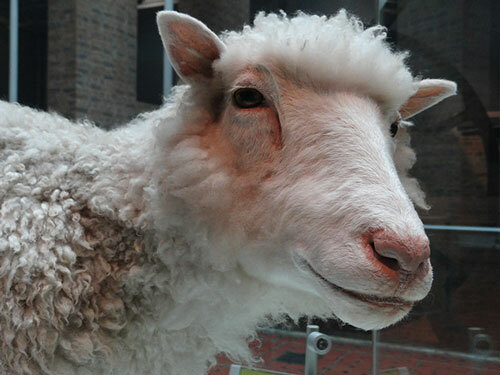 In 2008, however, as work began to redevelop the Museum, Weituo was removed to our Collection Centre, where he underwent conservation treatment. Over 180 hours were spent examining, cleaning, repairing and documenting the terracotta figure. Our main challenge was to understand the extent of the first restoration, undertaken by the Museum in 1937. Originally bought by a London art dealer, Weituo had suffered considerable damage in his journey from China to the UK, and the original restoration involved filling the legs with cement and iron dowels to support them, and making good the cracks in the ceramic body by filling and over-painting. The base of the statue with the over-paint removed. The over-paints were removed to reveal extensive filling and repair. The pedestal base of the figure was found to have been permanently dowelled to its wooden plinth as part of the repair. To remount the figure for display, the new plinth would have to be carefully designed and planned to include the wooden plinth and conceal it. Weituo was finally re-installed in December, by a joint team comprising of our Museums’ Technicians Steven Anderson and Stuart Jack, and from Artefact Conservation myself, Diana de Bellaigue and Lisa Barter. 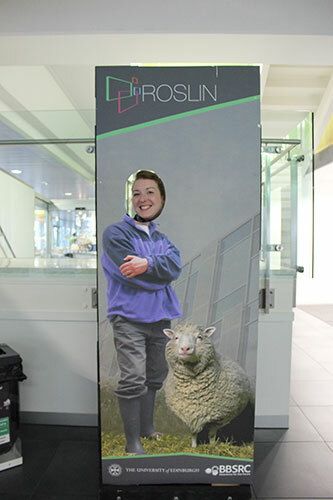 The whole exercise was overseen by Exhibition Designer Charlotte Hirst. 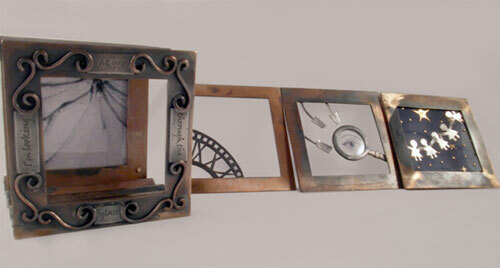 This is part of a series of large object installations currently taking place within the National Museum of Scotland. 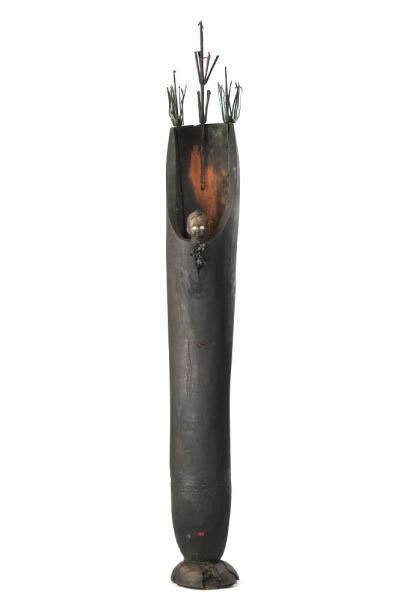 The sculpture weighs 400kg in total, but separates into two halves at the waist. The figure was lifted into place using a two-ton aluminum gantry. As the object is heavy, and made from particularly weak and fragile ceramic, the lifting slings were fitted very carefully, and great care was taken during the actual lift. Moving Weituo’s torso into place. Lowering Weituo’s torso into place. The install was undertaken after our public opening time and completed in under two hours. Afterwards we celebrated with mince pies! You can see Weituo in his new position on Level 5 of the National Museum of Scotland, outside the Looking East gallery. More information is available about Weituo on our website. Back in January I was doing research into Victorian Optical Devices for my degree show work at Duncan of Jordanstone College of Art & Design. 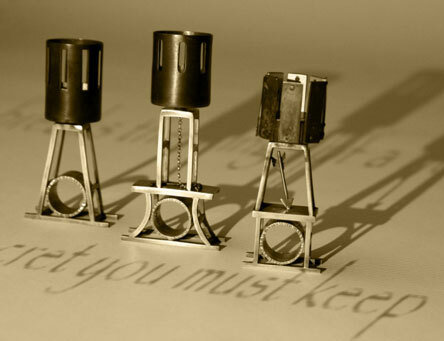 I had chosen to base my jewellery collection on Victorian optical devices and combine them with song lyrics to produce what I refer to as ‘Wearable Optical Toys’. At the time I only knew a little about these intriguing devices and wanted to gain more insight into how they were made, what materials they are made from and how they worked. I contacted the National Museum of Scotland in the hope that they could help me out in some way. 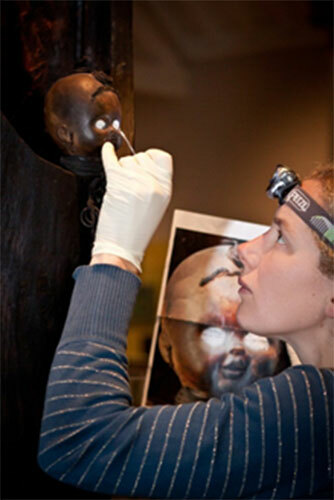 I was lucky enough to get in contact with curator Tacye Phillipson. She gave me some background information on some of these devices, many of which I had no prior knowledge of. Tacye then arranged for me to visit the museum stores and view some of these items. Curator Julie Orford was kind enough to show me around. Being able to examine these items up close and actually see how they are made was not only fascinating but also invaluable to my design work, allowing me to translate these optical devices into wearable objects. Here are a few photographs from my visit to the museum stores. After my visit I set about designing for my degree show collection. Here are some pictures of some of the items I came up with. 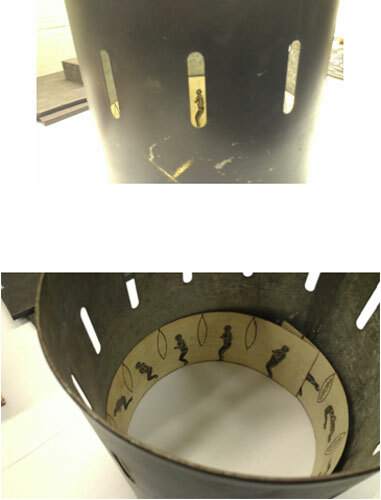 Zoetrope Ring Stands (2012). Based on the song ‘Butterfly on a Wheel’ by The Mission. Tops are spun to animate butterflies inside. Rings are removable and can be worn. Phenakistoscope Spinning brooch (2012). Again based on the song ‘Butterfly on a Wheel’ by The Mission. Spin wheels in opposite directions to animate butterflies. Peep Show Brooches (2012). Based on the song ‘Through Glass’ By Stone Sour. Peep Show Brooches (2012). Peep Show has three separate brooches. Without being able to visit the museum and actually get to see these optical devices I think I would not have been able to fully appreciate how these objects worked and I am very thankful to both Tacye and Julie for being so helpful. My visit also helped to affirm that a career in a Museum is something I would like to pursue. If you are interested in seeing more of my work the Duncan of Jordanstone Art School Degree show opening night is 18 May from 6pm-9pm. And there after the Degree show is open until 27 May. Please come along and see some amazing creations. 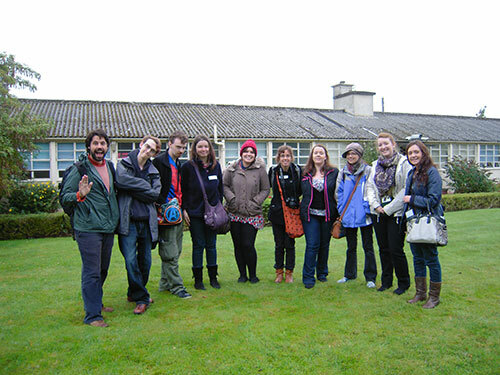 You can find out more at the Duncan of Jordanstone Degree Show website and also at my blog. East Fortune Air Traffic Control? 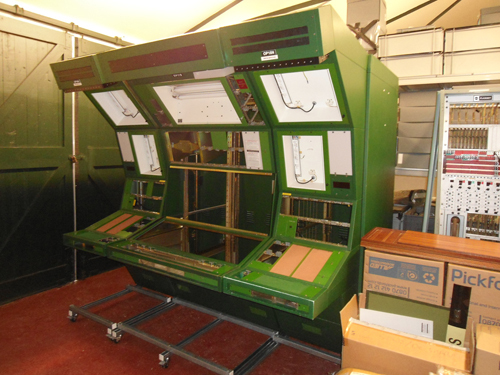 In August 2011 National Air Traffic Services (NATS) very generously donated an air traffic control console to National Museums Scotland. 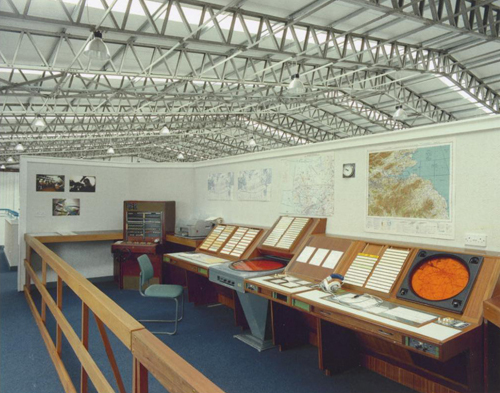 This was used to control the Hebrides Sector, covering a large expanse of the far north west of Scotland, and came from the Scottish Area Control Centre (ScATCC), opeating from Atlantic House near Prestwick Airport. The console was introduced in 1978 and continued in use, with frequent equipment upgrades, until 2009 when ScATCC moved to the Prestwick Centre nearby. National Museums Scotland already holds a number of items of air traffic control equipment. In particular, we have several control desks used in Oceanic Area Control in Atlantic House. These desks were in use between 1972 and 1978. They came to the National Museum of Flight back in 1991 and formed the centrepiece of a display about air traffic control, as shown here. 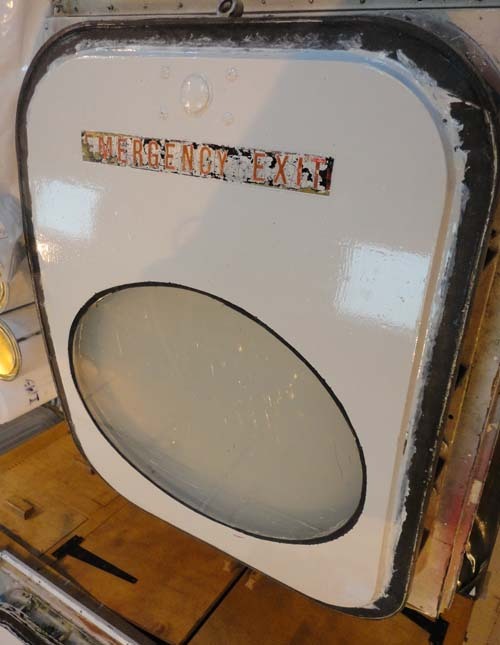 The console acquired in August had to be stripped out for ease of transport and a team from NATS came to the National Museum of Flight for two days to put it all back together again. The photo below shows the equipment as it arrived at the museum. Air Traffic Control unit arriving at National Museum of Flight. After two days of fitting cables, screwing in components and connecting everything together, the console was completely transformed. With recording air traffic control radar displays fed to the screens and the backlit map displays all working, the equipment now looks exactly as the NATS team remembers it in use, barely two years ago. 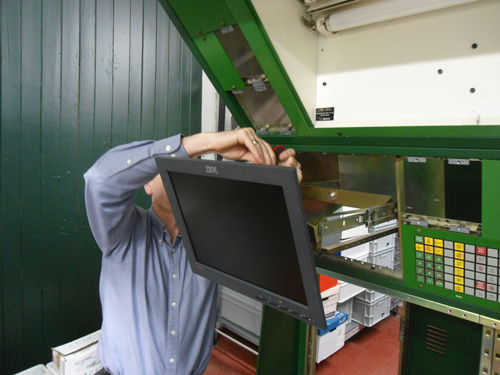 The images below show the guys working on the equipment, and then finished result. Installing the Prestwick Air Traffic Control unit at National Museum of Flight. 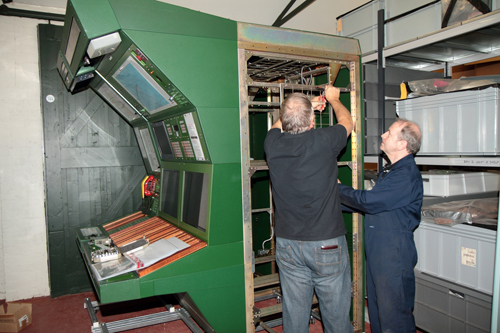 Prestwick Air Traffic Control unit being installed at National Museum of Flight. Air traffic control is an aspect of aviation that everyone knows about but very few ever get to see such equipment outside the movies. It is hoped to display our collection of air traffic control equipment in due course at the National Museum of Flight and give everyone a chance to experience this hidden side of aviation. 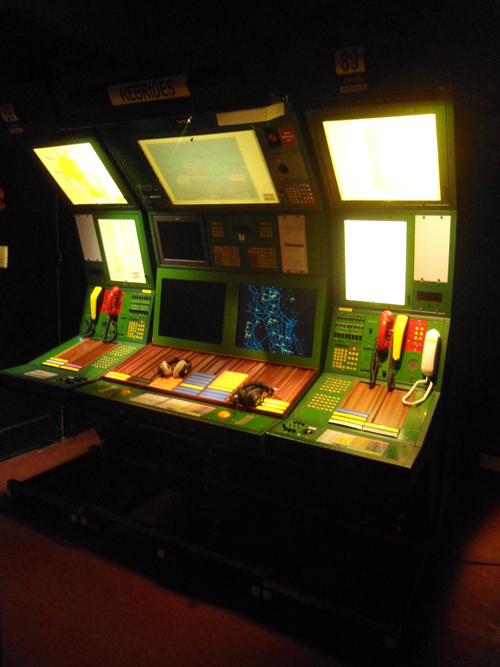 Completed installation of Prestwick Air Traffic Control unit at National Museum of Flight.